Did James Brown Inspire the Beat Generation in Poland? Czesław Niemen, Polish beat generation idol, and godfather of soul James Brown may seem to have little in common. However, their respective hits Strange is This World and It's a Man's Man's Man's World are strikingly alike. Anyone who has heard either song will suffer a severe case of deja vu when hearing the other. If you're one of the 7 billion people who believe that it truly is a "Man's Man's World and it wouldn't be nothing without a woman", you'll quickly appreciate Niemen's humanitarian anthem. Czesław Niemen was and remains one of the most original and influential artists in Polish pop music of the 20th century. In the 1970s, for those who kept track of rock (known as beat in Poland) or related to his anti-establishment lyrics, his records were a must-have. 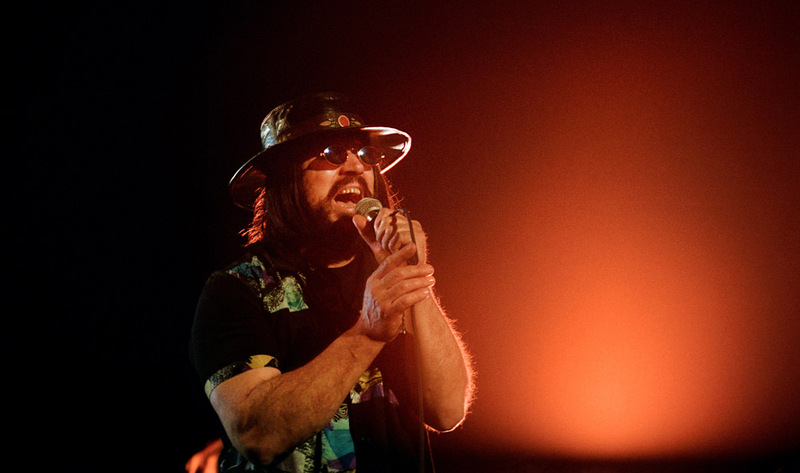 Singing with an unsually hoarse voice, to an unthinkably avant-garde melody, clad in John Lennon-style glasses, sporting long hair and bohemian clothing, he incorporated elements of jazz and avant-garde music, introduced Poland to the psychedelic genre and was one of the first artists in Poland to use electronic instruments on a wider scale. Niemen's style also made him a Retro Icon. Czesław Niemen created what became the most famous Polish protest song in 1967. "Dziwny jest swiat" / "Strange is this World" where "someone kills with an evil word as if with a knife" were words of the vested disillusionment and deep inner frustration of a people involuntarily kept on the margins of international society. The song was written at a time when Communist party leaders had no other choice than give people some freedom of expression. The period saw a Rolling Stones concert performed at the Palace of Culture in Warsaw (among others). Witnessing Western culture first hand heightened appetites and became a template of freedom through music. What Mr Brown and Mr Niemen have in common is not just the 6/8 time, but also the use of almost all the same instruments and a voice in the same register. They both use their powerful voice to empower others, shift consciousness and perpetuate the evolution of their kind. "It's a Man's World" which provided the template for every single R&B songstress from 1992 onwards, like Alicia Keys who does a dead-on impression of the groove and chords in "Falling". "Strange is this world" was sampled by Singapore Kane feat. Big Shug (2008), other Niemen song themes resurfaced in the music The Chemical Brothers feat. Richard Ashcroft (2002) , Roc Marciano (2011 & 2013) to name but these.